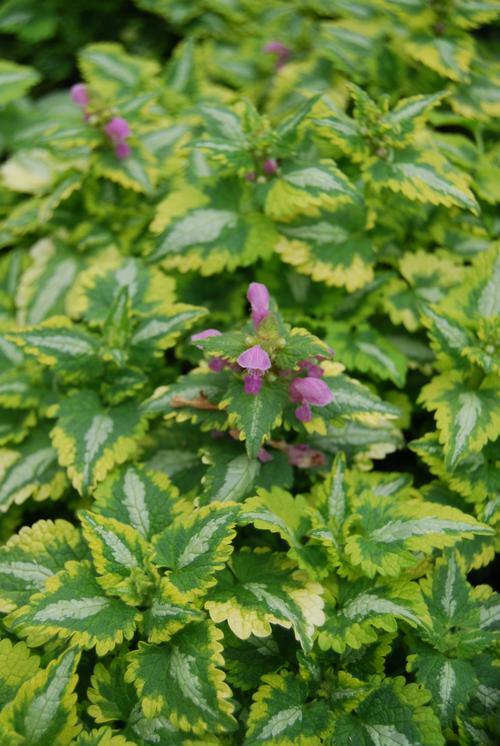 Bright variegation, green leaves with a wide golden edge and silver streak along the midrib, purplish-pink flowers. Highly variegated foliage use to brighten dark shady areas. Maintains good color all summer and not as invasive as ground covers. Short flower spikes bloom spring.